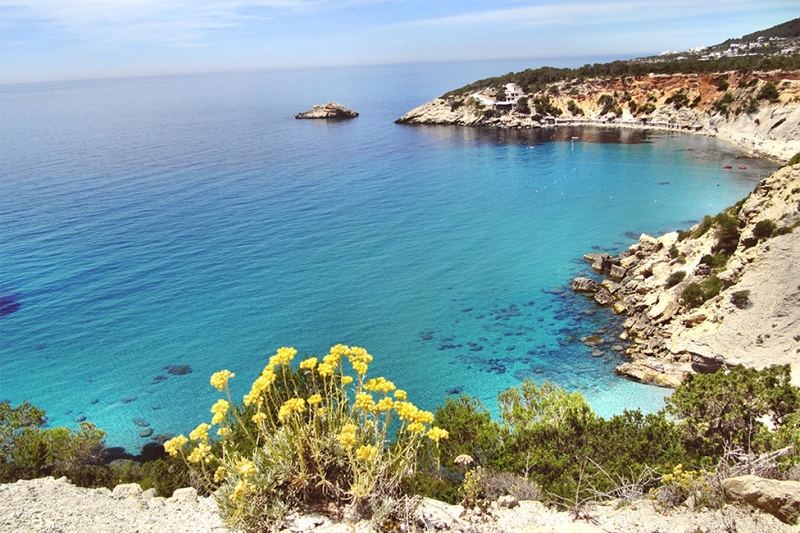 The south of San Antonio has Ibiza's most emblematic coves, nature and landscapes. Choose your destination and customize your unique day aboard the Space Boat Experience. A pine forest surrounds this wonderful bay that evokes the paradise. 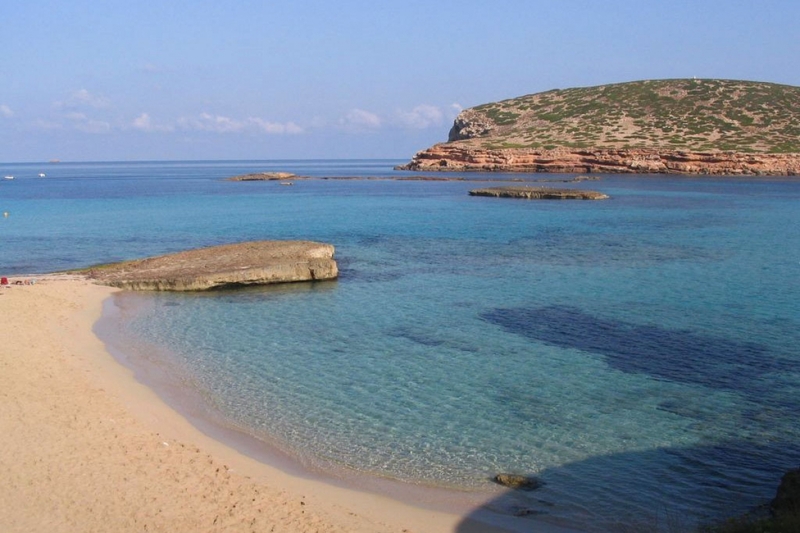 300 meters long if offered at one of the most spectacular beaches on the island. Here the sea has crystal and bright toned colors with a sandy bottom that does nothing but add to the enjoyment of the senses. 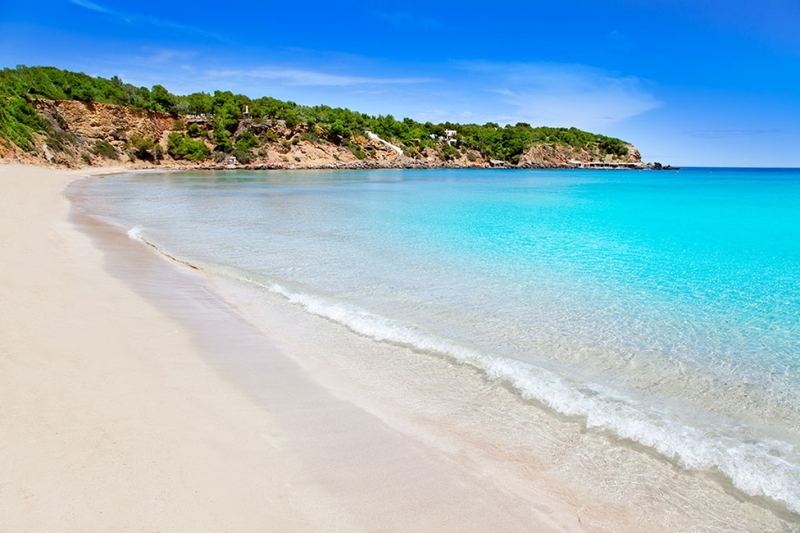 The perfect beach has a name, Cala Comte. Its fine white sand together with the different shades of blue that can be seen in its waters make this corner of the world an idyllic location. Formed by two coves that join in with a sight of the island of Bosc, they are one of the most impressive parts of the island with a unique marine biodiversity that invites you to dive in its beautiful waters. Very near Platges del Comte, the cave of Sa Figuera Borda is a beautiful cape elevated with a rock piercing through the center. Fishermen huts are built right inside and is common to see one of their boats by this place. A small cove completes this hidden cave. 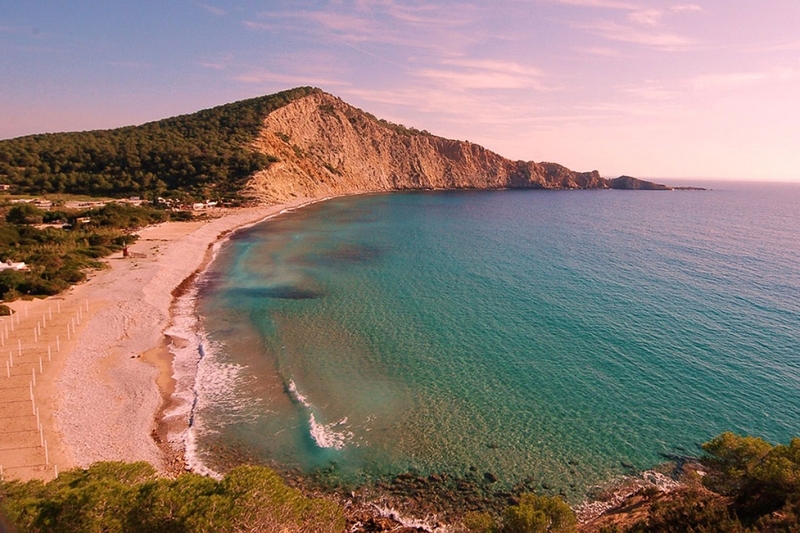 It is protected by a cliff and from its golden sand you can see Es Vedrà. 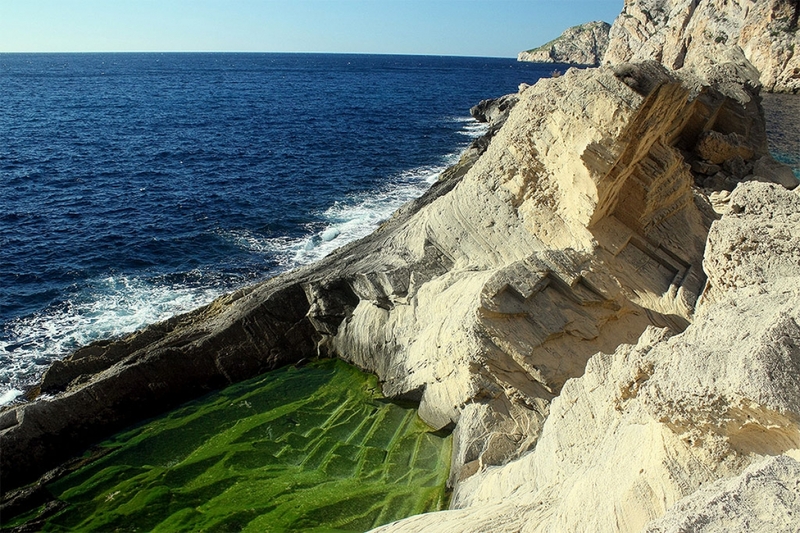 Cala d’Hort is also famous for its sunsets, restaurants and booths where fishermen still work. Atlantis is a secret point of the island you’ll find only if you know it exists. 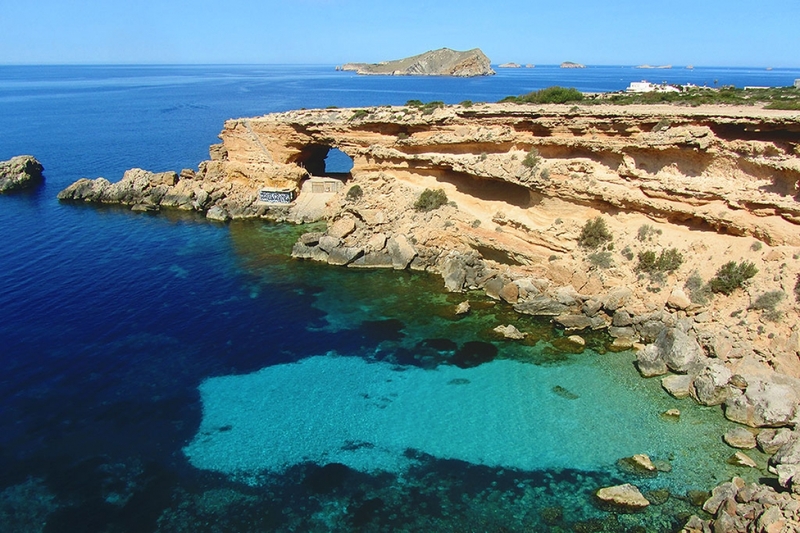 This dreamlike dreamscape out of the first hippies of the island was actually called Sa Pedrera quarry from which the sandstone used to build Dalt Vila was removed. The connection with the Space Boat Experience is very narrow and there is localized the Space Meteora, a rock that inspired many who came in the 70s. More than 400 meters of vertical rock form the most mystical point of the island. 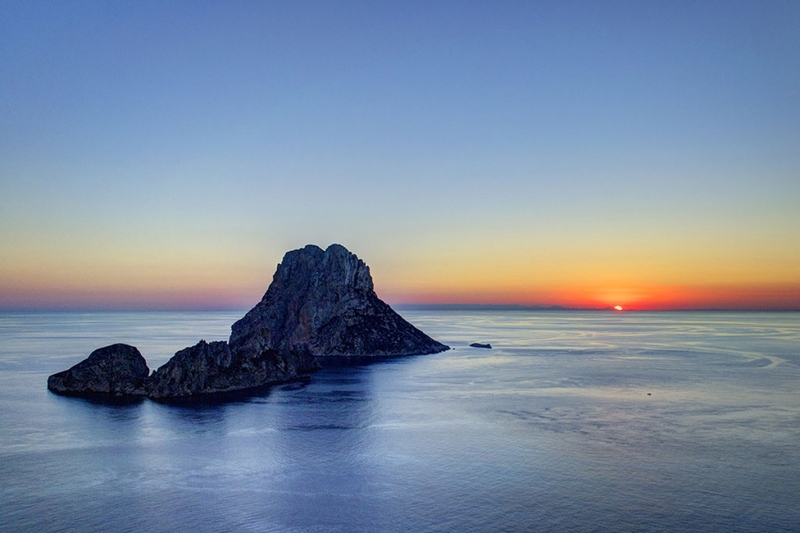 Everything is possible in Es Vedra, so this place near Cala d’Hort is a must for lovers of adventure and mystery. Located in San José, is known for its bed of pebbles which gives it more charm to the place. Its crystal waters you can see a great variety of wildlife in a unique ecosystem. 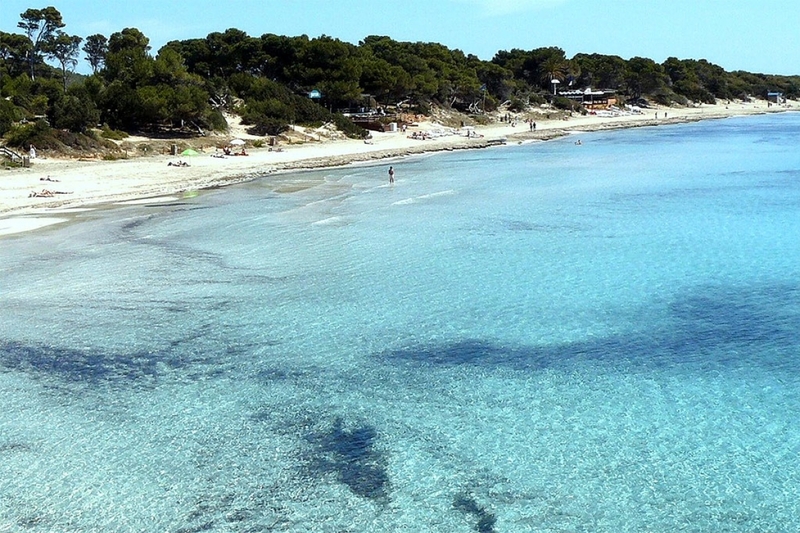 To all this you must add the natural environment surrounded by green pine trees typical of Ibiza. Declared a World Heritage Site thanks to its environmental wealth in 1999, it also it has centuries of cultural tradition linked to salt mining. The sands of its beaches and the bars that sit there, hardly imitable provide a sensory experience.